Cranial Flush is a 'competitive' modern mill deck that is frequently tested at locals and against modern meta decks. The aim is to find and update the most efficient build for the archetype. - Breaking / Entering , Shelldock Isle lets us bypass the awkward mana cost to play both halves, otherwise for it mills 8 cards which is fine. - Mesmeric Orb , with the addition of Fraying Sanity Mesmeric Orb becomes a potent mill for just , burning opponents each turn and turning on Set Adrift quickly when we need to deal with threats. - Fraying Sanity , Fresh from Amonket Fraying Sanity remedies tempo problems by making milling more potent. 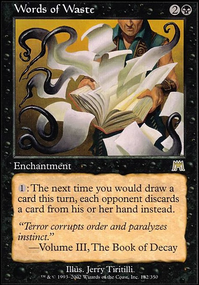 Each Fraying Sanity doubles your mill potential at the end of each endstep, stacks with itself and makes threats of persistent mill cards like Mesmeric and Hedron Crab. - Mind Funeral Averaging around 7-9 cards, benefits from being played after opponents fetch lands and from under a Shelldock Isle . - Hedron Crab , a reliable source of mill with a 0/2 body. 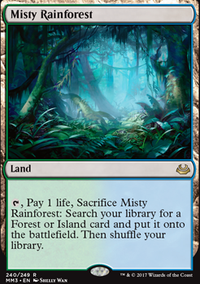 You want to use as many fetch lands as possible to generate value. - Archive Trap , Triggered by our opponents fetch lands and Field of Ruin or attached to Shelldock Isle , this is potentially your most efficient card as and 14 cards off the top. - Oboro, Palace in the Clouds replayable land for net if you have a Hedron Crab out and no other lands to play. The rest is looking to take apart combos and delay damage. - Surgical Extraction , Surgical belongs in the mainboard. We often see the contents of an opponents deck by turn 2 or predict wincons after opening plays. Surgical lets us pick apart important combo pieces, early game plays, and potentially remove cards from an opponents hand for and instant speed. 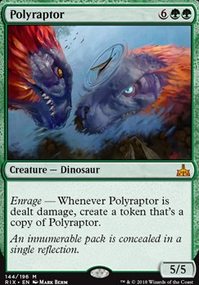 We could also run Extirpate against blue/combo meta.